The Maldives Whale Shark Research Programme (MWSR) has revealed photos of a whale shark with severe injuries caused by a boat propellor. The organisation posted photos of a whale shark it has named Naococco with deep cuts and wounds. “It seems Naococco is the latest shark to fall foul of a boat propeller. The images below show the extent of the injuries which are among the worst we’ve seen,” reads the Facebook post. Naococco was last seen uninjured on June 1, the MWSRP said. 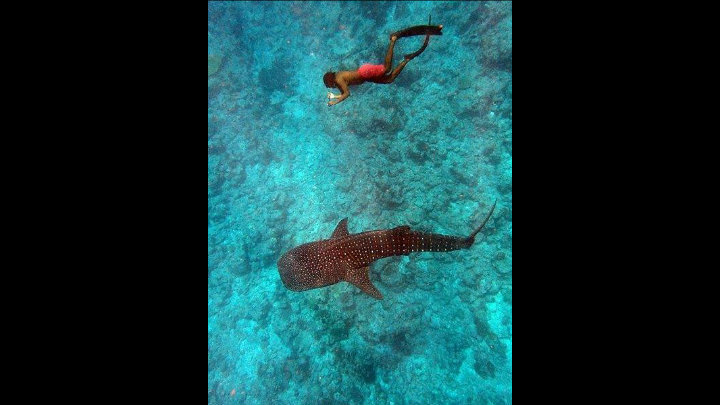 Whale sharks are protected in the Maldives. 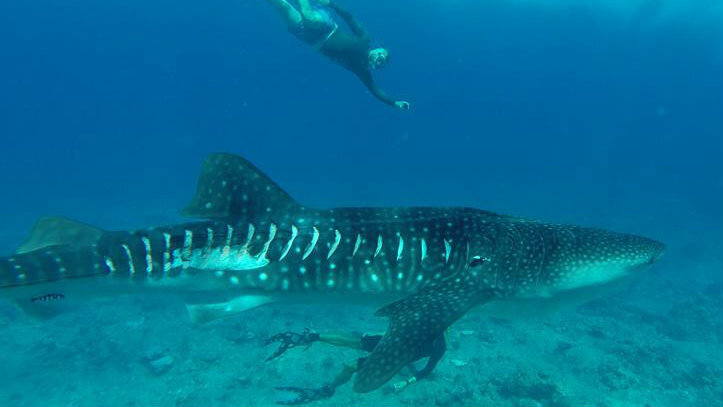 The MWSRP is a research-based conservation charity dedicated to study the whale shark and fostering community-focused conservation initiatives in the Maldives and the greater Indian Ocean. The whale shark’s injuries “highlights the danger that vessels pose to these sharks,” the MWSRP suggested. “We urge all users of the area to slow down below the 10kts speed limit and keep a dedicated spotter watching ahead of the path of the vessel for the duration of the time they are traveling through the S.A. MPA [the Southern Ari Atoll Marine Protected Area]. The southern tip of Ari atoll, a year-long whale shark aggregation site, was declared a marine protected area (MPA) in June 2009. It is prohibited to anchor, mine for coral or sand or dump rubbish in MPAs. Fishing and any other activity which may cause damage to marine life is also forbidden. The MWSRP was not responding to inquiries despite repeated attempts. According to a report by a marine researcher on the economic value of whale sharks in Maldives, the estimated direct expenditures for whale shark focused tourism in the South Ari Marine Protected Area for 2012 and 2013 accounted for US$7.6 and $9.4 million respectively. The figures are based on an estimate of 72,000–78,000 tourists who are involved in whale shark excursions annually. In 2010, the MWSRP warned that excessive human interaction with whale sharks in South Ari Atoll could eventually lead to the species leaving the area permanently, after receiving reports of tourists touching and even attempting to ride the sharks. 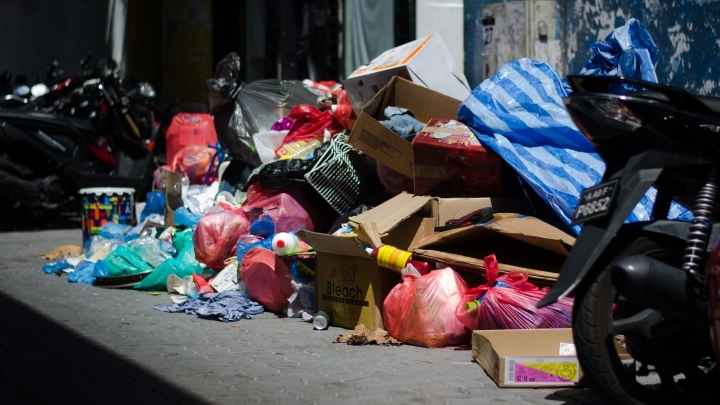 Piles of garbage have been left to rot on the streets of Malé days after a housing ministry organized waste disposal program ended. The housing ministry on June 14 announced it will pick up trash from households between 4pm and 10pm on June 15. The program was announced ahead of the Islamic month of Ramadan. Officials said households must register to get trash cleared out. 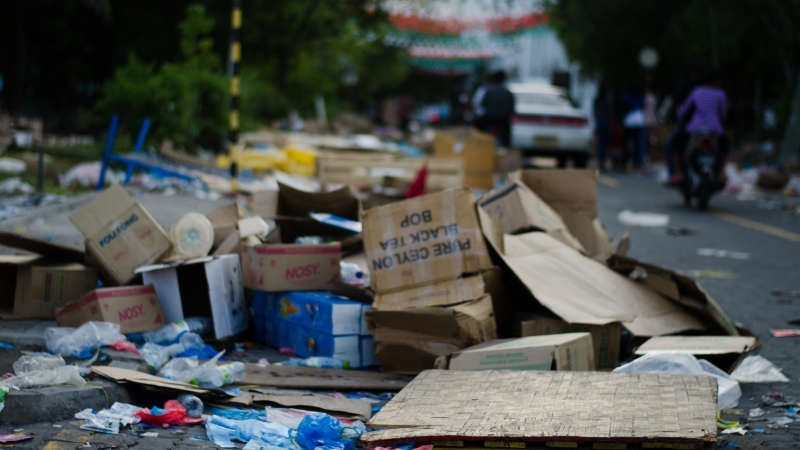 Five days later, several houses are continuing to leave trash on Malé’s narrow and congested streets. On the same day, the housing ministry released a statement saying it had cleared trash from some 430 registered households on June 15. 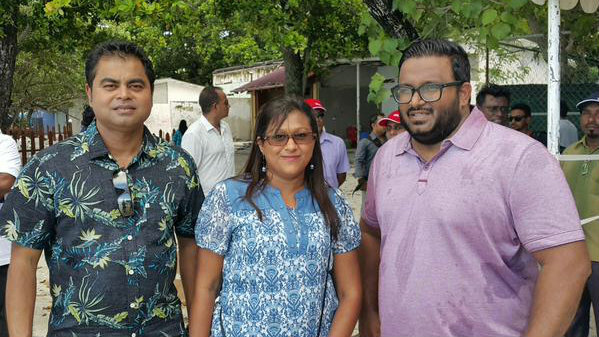 Malé City’s deputy mayor Shifa Mohamed said the housing ministry’s waste disposal program was poorly planned. The Environment Protection Agency (EPA) has meanwhile announced that it will fine the households that have left garbage on the streets after June 15. “Throwing out trash in this manner, is illegal under the waste management regulations enforced by the EPA,” read the statement. Article 11 of the waste management regulation prohibit waste disposal on streets and parks. Vendors have turned Malé’s surf point Raalhugandu into a waste dump after the biannual street market. The two-week long market ended on June 13, but vendors left plastic, wood, cardboard boxes and pipes at Malé’s water front. The market organizer Maldives National Chamber of Commerce and Industry (MNCCI) has not picked up the trash two days after the market ended. Some 500 stalls were set up for the market. The dumping of trash at the surf point sparked outrage on Twitter. Night market = trash and leave. Beautiful sight at raalhugandu. Piles of garbage yay Maldives yay sunny side yay tourism. The MNCCI’s Vice President Ismail Asif told Raajje TV that the clean-up effort had been slowed by difficulties in transporting and offloading the garbage onto barges that would carry the trash to the dump on Thilafushi island. As the sun set, only migrant workers staff were seen cleaning the area. Much of the garbage has been cleared on the outermost Bodu Thakurufaanu Magu, but adjoining Ameenee Magu is yet to be cleaned. Environmental organisations, state agencies, and marine enthusiasts gathered in the Vilimalé beach this weekend for a unique environment festival aimed at educating and informing the public about conserving coral reef ecosystems. 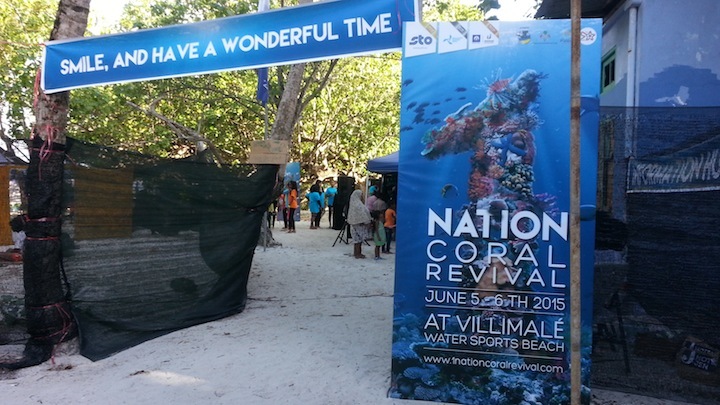 The ‘1 National Coral Revival’ festival – the first of its kind – was organised by Vilimalé-based NGO Save the Beach as part of an awareness campaign about its reef rehabilitation and monitoring programme. Amid a backdrop of live music by local artists, the event featured coral planting, information sessions and talks at an “awareness tent,” food stalls, diving lessons, free water sports, and guided snorkelling. The festival was planned to coincide with World Environment Day on Friday, but kicked off a day late due to stormy weather. Environment minister Thoriq Ibrahim and tourism minister Ahmed Adeeb attended the opening ceremony on Saturday. Students, teachers, and parents with their children visited the festival and participated in interactive activities. 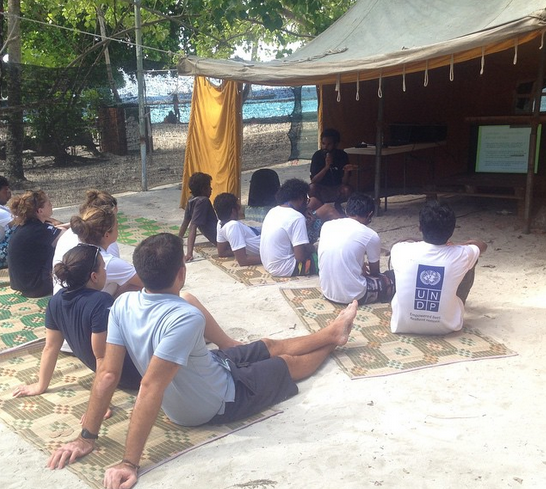 The UNDP offered a “nature walk” while the Maldives Whale Shark Research Programme gave presentations about the largest fish in the sea. NGOs such as the Olive Ridley Project, marine consultancy company Seamarc, and marine biologists from several resorts shared information about environmental initiatives. Fathmath Thanzeela from Save the Beach said participatory activities such as coral planting were intended to give “a sense of ownership” and encourage engagement. “What we hoped to achieve is a demonstration project so that we can share knowledge and build capacity of other NGOs,” she said. 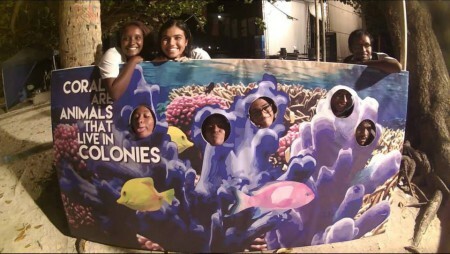 A core message from the festival is the importance and vulnerability of the reef ecosystem in Vilimalé. A coral reef is “very delicate and takes thousands of years to grow,” Thanzeela said, and coral planting is not a viable solution for rebuilding a devastated reef. Coral planting is intended to “beautify and boost biodiversity,” she said. Save the Beach started a coral nursery in Vilimalé last year with coral colonies rescued from a reclamation site in Hulhumalé. As Malé does not have a natural beach, Thanzeela noted that the Vilimalé beach is used by the one-third of the Maldivian population that resides in the capital. “We owe it to the next generation to preserve this beach,” she said. Thanzeela said the public response to the festival was positive and expressed gratitude to business partners who “wholeheartedly contributed to the cause”. “There were about 70 people ‘try diving,’ close to 200 people who planted corals in the shallow, and lots of people did water sports,” she said. Coco Island resort marine biologist, Nathaniel Stephenson, said the festival brought together “organisations with the same moral core conservation ethic” in one place to network and share ideas. “But most importantly, to educate the local people, the local community, and I think it’s really done that well, mixing music with awareness, making it fun and accessible as well,” he said. The Project Damage Control stall challenged visitors to sort garbage under general waste, organic trash, paper, or recyclables. Visitors were also asked to guess the time it takes for plastic bottles, glass, and aluminium cans to decay. “We want to spread awareness through a challenge. When you throw out trash, there are recyclable items and there are separate bins for that,” said Ihusan Abdul Muhsin. Most visitors guessed right but stumbled on the biodegradation timelines, expressing surprise with the one million years it takes for glass to decompose. The message: “When you throw a plastic bottle to the sea, it takes 450 years to degrade and it destroys corals,” said Ihusan. In its stall, Manta Trust, a UK-based charity, showcased its work in identifying manta rays with photos of the unique pattern of spots on its underside. Ibrahim Lirar said Marine Trust has more a catalogue of than 3,000 “photo IDs” of individual manta rays. “We need more events like this, more platforms, so we can talk about the conservation of our environment. The current situation is very dire. The skipjack tuna catch is dropping. 2007 was the peak. We’re now catching the same number of tuna we caught in 1999 with today’s technology and fishing power,” Lirar said. Dr Shamha Abdulla Hameed, dean of the faculty of marine studies at Villa College, suggested that the festival should be held at least once a year. “You get to do a lot of networking. And everybody sees that there are a lot of people involved in this area of work,” she said. Some parents are unaware of the job opportunities for marine science graduates, she observed, noting that most resorts have dive masters, water sports assistants, and a marine conservation centre with interns earning US$400 a month. The UNDP meanwhile offered a nature walk with a guide explaining the environmental benefits of than 40 species of plants in Vilimalé. Some trees act as wind barriers and help to prevent coastal erosion. “Usually we just give information in stalls about projects, which is not very interactive. So we came up with something that might involve them and make them passionate about the environment,” said Abdulla Adam, who took visitors on a tour across the island. Mohamed Shimal from the Marine Research Centre said its stall emphasised the economic value of coral reefs to the Maldives – which are essential for the sustainability of the fisheries and tourism industries – and explained the damage that humans could cause to the fragile ecosystems. The centre offered drawings of fish and corals to children for colouring with environmental messages on the back. “For example, don’t harm corals when you swim because it grows very slowly. And don’t throw plastic bags in the sea because it suffocates corals and turtles also die after eating it,” Shimal said. Tourism minister Ahmed Adeeb has urged Maldivians to adapt to the impacts of climate change instead of considering relocation to higher ground abroad. Maldivians will continue to live on Maldivian soil for the next 500 years, he said, at a festival held to mark the World Environment Day on Saturday. “Maldives are innovative and always looking for new innovations. We will live here in the Maldives even if we have to reclaim land or live on floating contraptions,” he said. The Maldivian islands lie just a meter above sea-level. The UN Intergovernmental Panel on Climate Change (IPCC) in a 2013 report said global sea-level is rising and predicts accelerated rise for this century. For high emissions, the IPCC now predicts a global rise by 52-98 cm by the year 2100, which would threaten the survival of coastal cities and island nations such as the Maldives. Sea-level rise will be accompanied by coastal erosion, surface-flooding and saltwater intrusion into soil and groundwater, scientists have said. Climate change will also bring frequent and severe weather extremes and coral reef die-offs because of ocean warming and acidification. President Abdulla Yameen has pledged to explore for oil in the Maldives. In his speech, Adeeb also pledged to allocate a US$6 green tax – to be levied on tourists in November – to tackling waste management on Thilafushi Island, where garbage from Malé and resorts are sent. “Tourists, who travel via air taxi, have asked if Thilafushi is a volcano, if volcanoes exist in the Maldives. I tell them that is not the case here and that I cannot give further details,” he said. More than 200,000 tons of industrial and domestic waste were sent to Thilafushi in 2013, the most recent year for which statistics are available, according to government figures. While some of the waste is sorted and sent to India, most is simply used as landfill or burned. 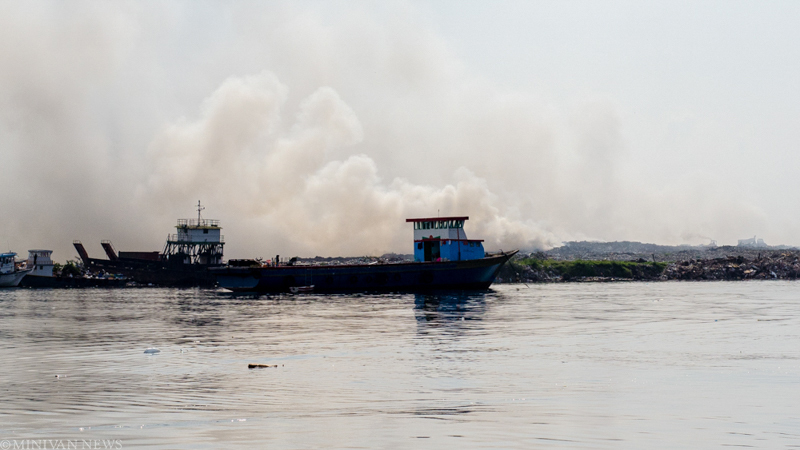 Campaign groups have highlighted the risks to workers from toxic fumes and the contamination of surrounding lagoons by floating garbage. The former Maldivian Democratic Party-led government had signed a contract with India-based Tatva Global Renewable Energy in 2011 to provide waste management services in and around Male, including establishing a system to generate power from recycling waste. However, the current government of President Yameen cancelled that deal late last year, having previously sought to renegotiate it on “more mutually beneficial” terms. The agriculture ministry has warned of an imminent fruit fly epidemic that could contaminate fruits grown in the Maldives. Fruit flies have been found in mangoes and water apples from the island of Feevah in Shaviyani atoll, the ministry revealed today. “On some occasions, 90 to 100 percent of the harvest has been destroyed because of fruit flies,” said the agricultural ministry. 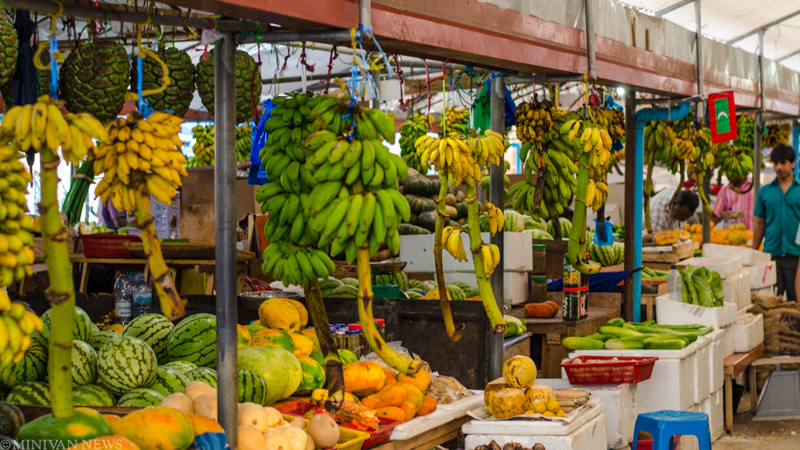 Agriculture contributes to around six percent of GDP. However, some islands rely solely on income from farming. A fruit fly epidemic could cause widespread damage to the local agricultural industry, the ministry said, and advised exercising caution before consuming fruits from Feevah. While fruit flies do not cause any harm to humans even if contaminated fruits are consumed, the ministry advised soaking fruits from Feevah in warm water for 60 minutes to prevent the flies from spreading. The ministry explained that the “oriental fruit flies” found on Feevah poses a threat to all types of fruits and vegetables, including mangoes, watermelons, peaches and tomatoes. Fruit flies lay their eggs inside the fruits and vegetables by injecting its spine. Once the eggs hatch, the larvae eats the fruit from the inside out. Contaminated fruits will appear over-ripe with large black spots. Holes will also be visible on the surface of the contaminated fruit. The ministry also urged the public to report any signs of fruit flies in agricultural products. 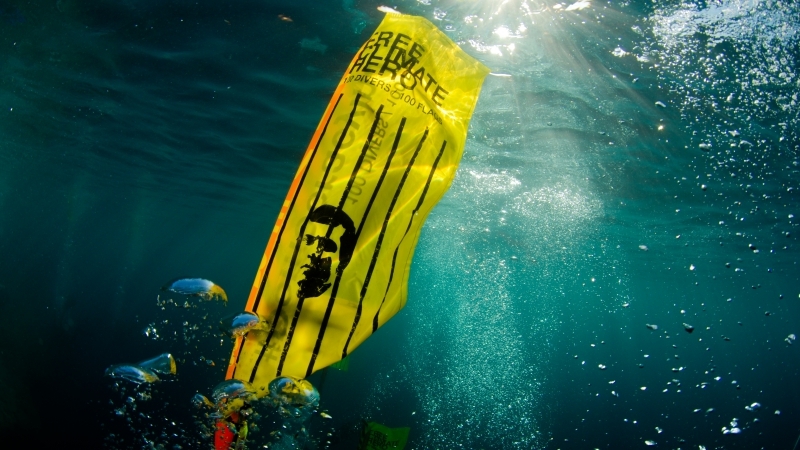 One hundred divers staged an underwater protest in Malé today, calling attention to the imprisonment of former president Mohamed Nasheed. The government says it will invite bids next month to separate waste on the “rubbish island” of Thilafushi in the latest attempt to solve the Maldives’ biggest environmental blight. Tourism minister Ahmed Adeeb, who heads the Economic Council, said he hoped waste separation services would be in place by the end of the year, while a second phase of the project will involve green energy generation from the waste. “The dumping site will be converted to an environmentally friendly incineration site,” he said. The changes are to be financed by a new US $6-per-tourist “green tax” introduced in this year’s budget, Adeeb said. The plan is the latest in a series of attempts to take control of the waste problem at Thilafushi, where garbage from the capital, Male’, and from many resorts is sent. However, the current government of President Abdulla Yameen cancelled that deal late last year, having previously sought to renegotiate it on “more mutually beneficial” terms. Environmentalists have questioned whether the political will exists to transform Thilafushi. “So far, they’ve been trying for 20 years and it’s only getting worse,” said Maeed Zahir, founder of the environmental NGO Ecocare. The government has also signed a memorandum of understanding with the Emirati company Dubai Ports World for development of a new commercial port at Thilafushi, to be built within two years. A movement representing Maldivian youth has raised the alarm over a lack of arts and creative opportunities after the government cancelled plans for Earth Hour celebrations. “Without proper preventive measures, we would see a decline in creativity and expression, as well as freedom of assembly and celebration of global causes,” Dhi Youth Movement, a non-governmental organisation, said in a statement. 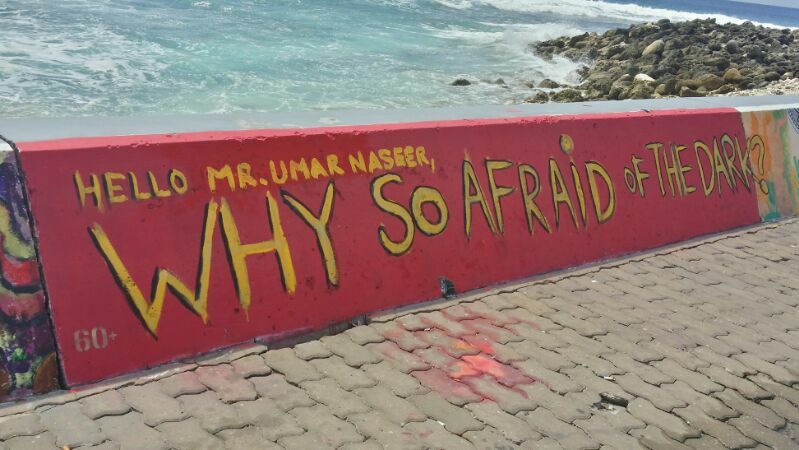 Young Maldivians had planned to mark Earth Hour, an annual environmental campaign, with a music show and other celebrations in Male’ on Saturday but the government banned the events on security grounds after a spate of stabbings in the capital. “We would also like to express our disappointment with government’s decision to cancel the Earth Hour celebrations on perceived potential security concerns,” said DYM. Despite the ban, a 29-year-old man died after being stabbed outside the Indira Gandhi Memorial Hospital, one of the busiest hospitals in the city, on Saturday night, in the fourth murder so far this year. No one has so far been arrested over the crime. “As witnessed by last night’s crime, we have reconfirmed that crime happens regardless of whether or not the lights are on, even in front of police stations and hospitals,” DYM said. People who had planned to attend the celebrations expressed their discontent online. “Yesterday, government stopped a bunch of people from making a prayer for President Nasheed after the Friday congregational prayer. Today it prohibited holding Earth Hour events for ‘security reasons’. Tomorrow it’ll ban funerals,” one said. Earth Hour is hosted by Earth Hour Maldives collaborating with Scouts Association of Maldives, who outsourced the event to Empire Events, a recently established event management company. Lights are traditionally turned off for Earth Hour, while those taking part celebrate by candlelight. Despite the event’s official cancellation, some members of the public decided to celebrate anyway. Concerned youth and artists turned up to enjoy the hour outdoors, while children drew in chalk in a co-ordinated event at the helipad. Young people lit candles reading “60+”, which stands for the 60 minutes of the Earth Hour. DYM said that a fall in numbers of students enrolling in the arts stream — students can choose between arts, business and science streams aged 13 or 14 — was a sign of the declining position of arts and creativity. They called for a community where expression and art can thrive, without it involving “knives and crime”. The group called for the government and authorities to do their best to address the root causes of the current gang violence so that temporary curfews can be lifted. However, Dhi Youth Movement also noted that they had not been consulted on policy level discussions about youth by government bodies, and said they hoped the government would consult civil society more in decision making.